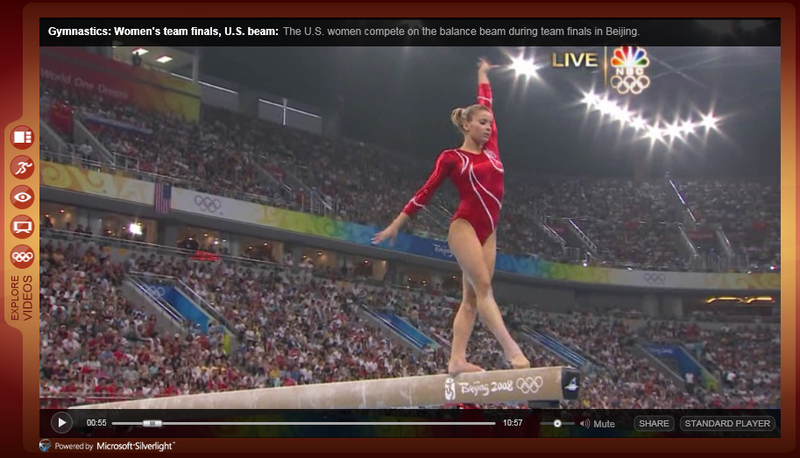 Perhaps the Improper Flag Orientation Above the Balance Beam Distracted the U.S. Women’s Gymnastics Team, Too… | Break It And Learn! Okay, I’m probably the only one who noticed this… My friend couldn’t find the flag in the picture above. It’s in the background in the crowd on the left, to the left of the Olympics rings. 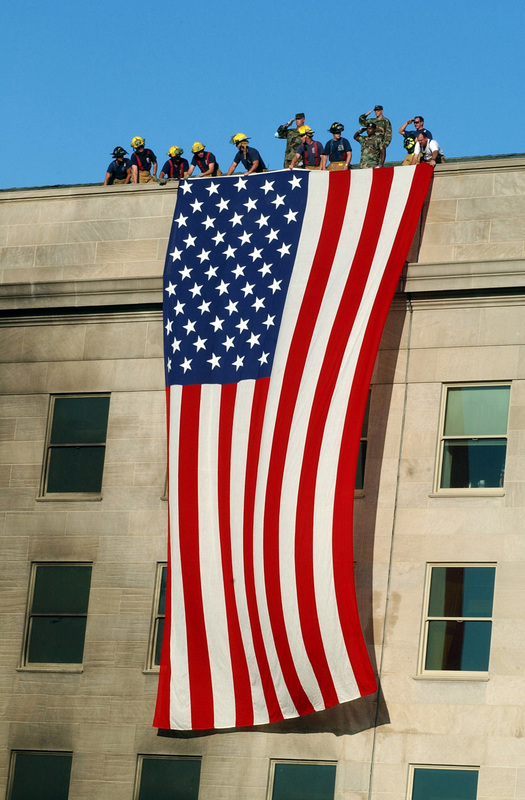 Flag draped over the Pentagon after 9/11. Photo by Michael W. Pendergrass. Source: B-1 System Program Office. But hey, we have people who made the trip to China to support our teams, so I can’t complain too much. Maybe NBC could have digitally altered it to correct it! JUST KIDDING!!! But that technology to show world record paces (eg, in swimming) is incredible!!! A step up from showing the 1st down line in football, huh? And that’s pretty amazing in itself. As far as the time lapse videos… Stro-motion??? I can’t help but think of high school physics class and parabolic trajectories of balls being thrown in the air. Wow, I can’t stop thinking what an amazing photo Pendergrass took! I had to comment on my own post!